SPORAH TV: SHE IS A SINGER AND SONG WRITER FROM SPAIN..! SHE IS A SINGER AND SONG WRITER FROM SPAIN..! 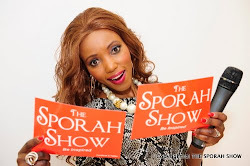 Hellooooooooo, Welcome to THE SPORAH SHOW, lovely to meet you. Okay, so Graciela how long does it take for one to do this? Check Out Graciela on Facebook HERE..! Thank you so much for being here and good luck with your music. Find out More About Graciela This Coming Monday 10:30pm on BEN TV: SKY 184. Is Yvette Shaw..! More About Yvette please CLICK HERE. DON'T MISS OUT THE SPORAH SHOW EVERY MONDAY 10:30PM ON BEN TV: SKY 184. Your dress sporah, you never go wrong girl. 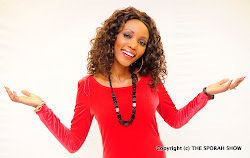 Sporah mbona haya mambo mazuri hauyaleti star tv???? 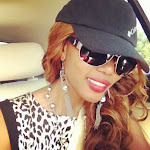 SPORAH your indeed a diva! It feels great knowing you.